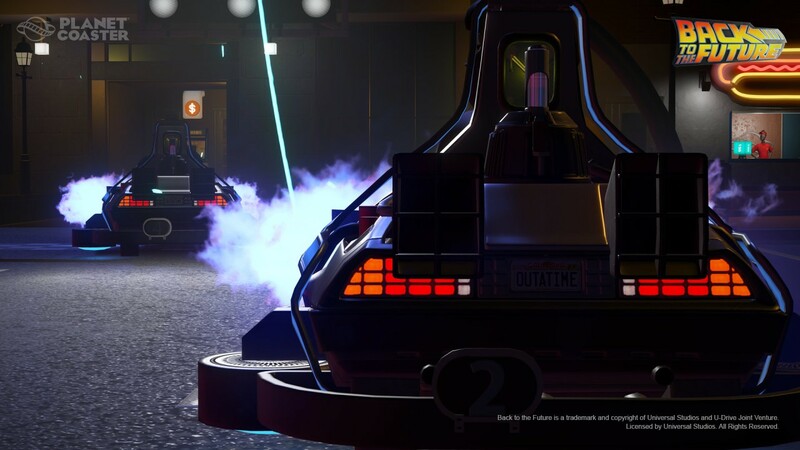 The Back to the Future™ Construction Kit features in-game replicas of the DeLorean Time Machine in its original 1985 form, and in its 2015, 1955 and 1885 variants, with optional standard tires, ‘hover’ wheels, white-rimmed classic tires, or railway wheels. This is heavy! 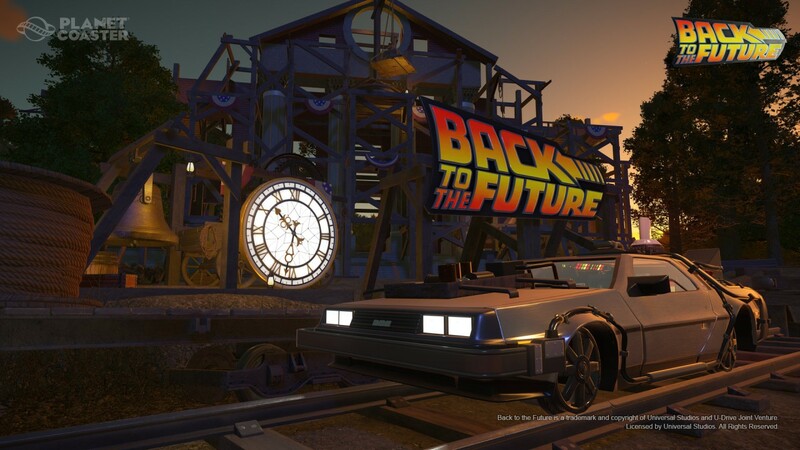 Visit the past, present and future with the Back to the Future™ Time Machine Construction Kit for Planet Coaster. 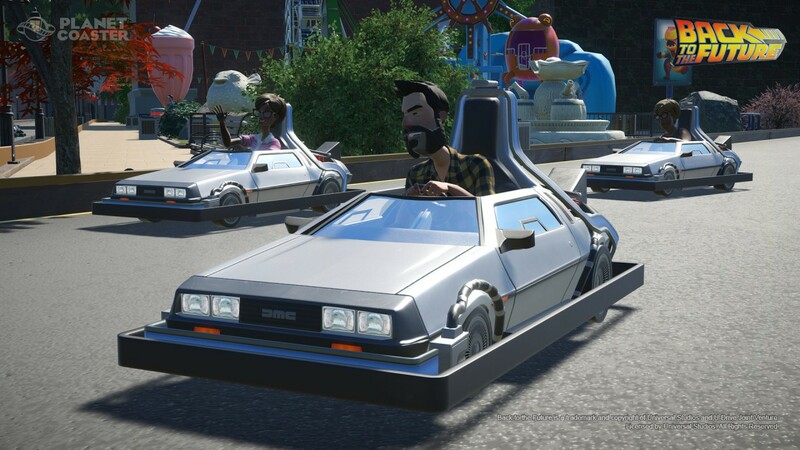 With the Back to the Future™ Construction Kit all four vehicles will be made available in-game as 1:1.2 scale scenery pieces and 1:1.8 scale ‘kitbash’ models which can be disassembled and re-assembled however you choose. 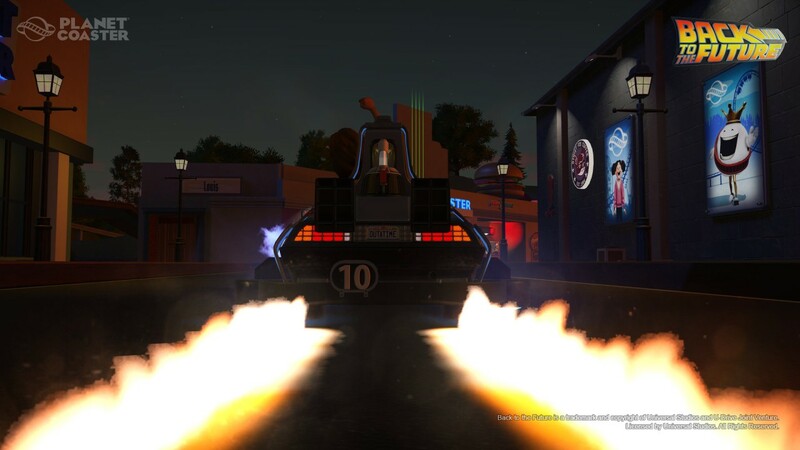 The Back to the Future™ Construction Kit also includes a karting replica for the ‘Speed’ go-kart track, logo sign and bonus animated FX pieces. Miniature DeLorean Time Machine kart for ‘Speed’ karting track. 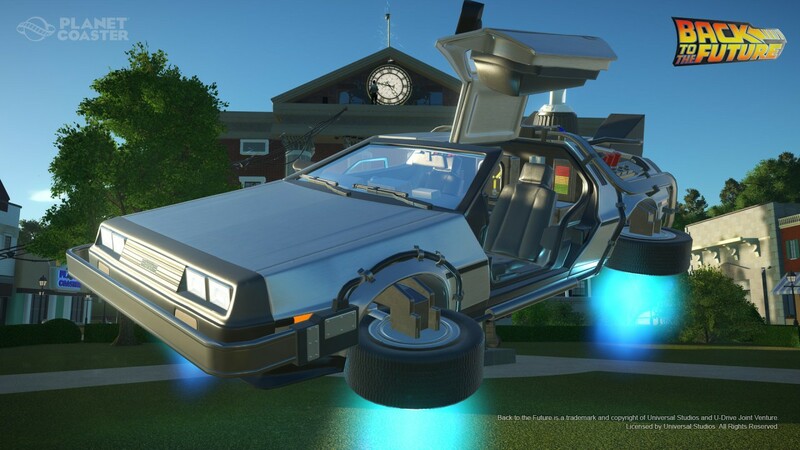 • Requires Planet Coaster game (sold separately) and all game updates to play. • Please note this product requires a Steam account and Steam to be installed on your PC. • Product may be added to Steam account via linking under "My Key Purchases" in "My Account".